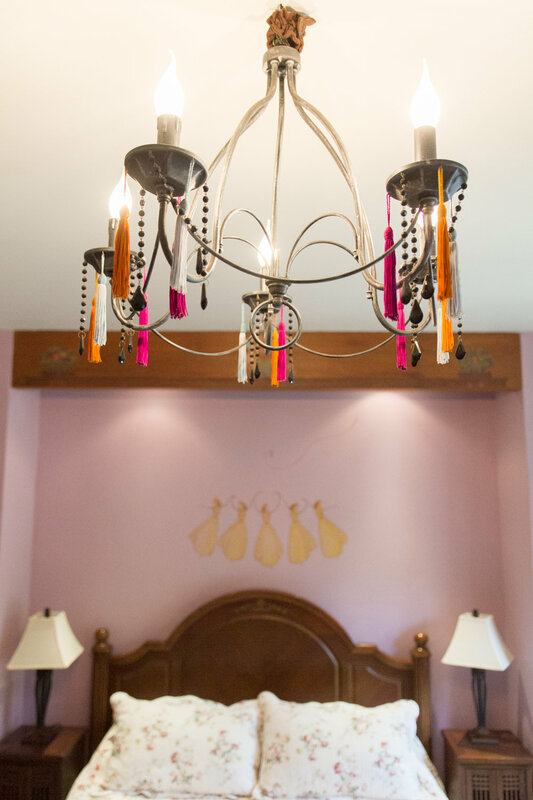 The Manor House offers five distinct bedrooms uniquely-decorated with custom crafted furniture, antiques, beautifully custom painted doors and windows. 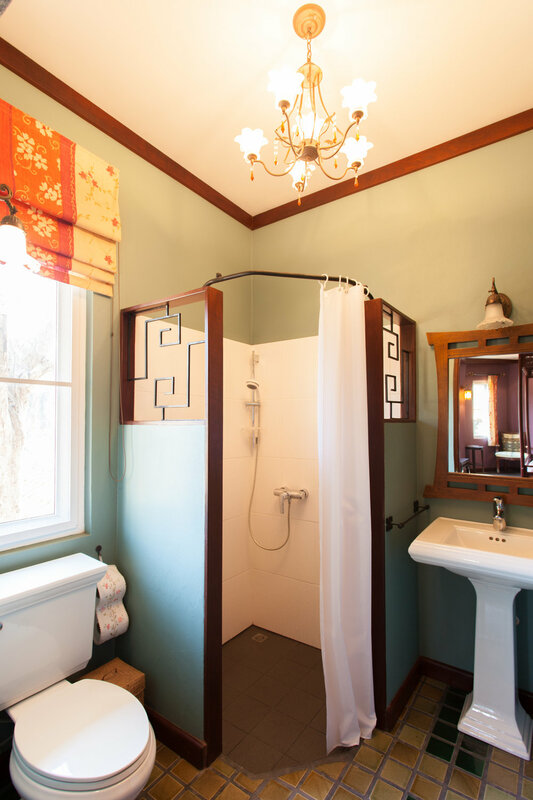 Rooms vary in layouts, sizes and bathrooms to offer guests a complete experience of the Manor House while providing all the amenities of a contemporary Bed & Breakfast. 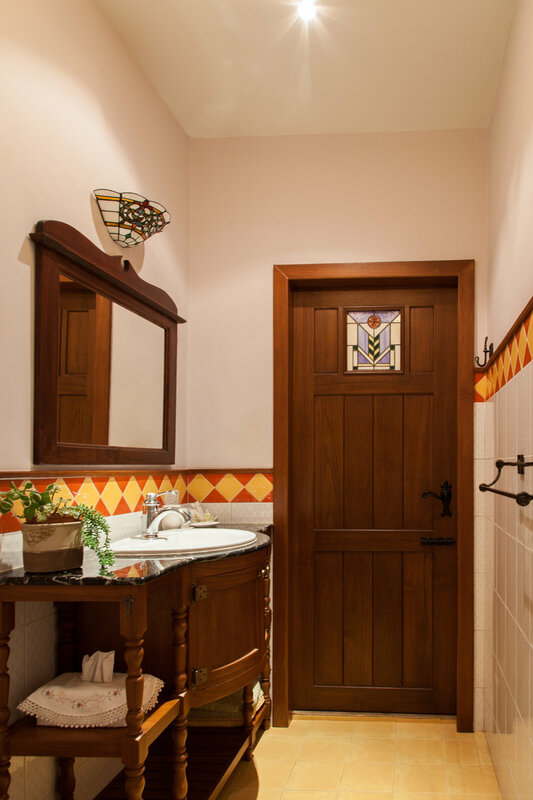 Amenities include air-conditioning, in-room safe, bathrobe and slippers, bathroom amenities, alarm clock, free Wi-Fi, iron and ironing board (upon request), and complimentary breakfast. 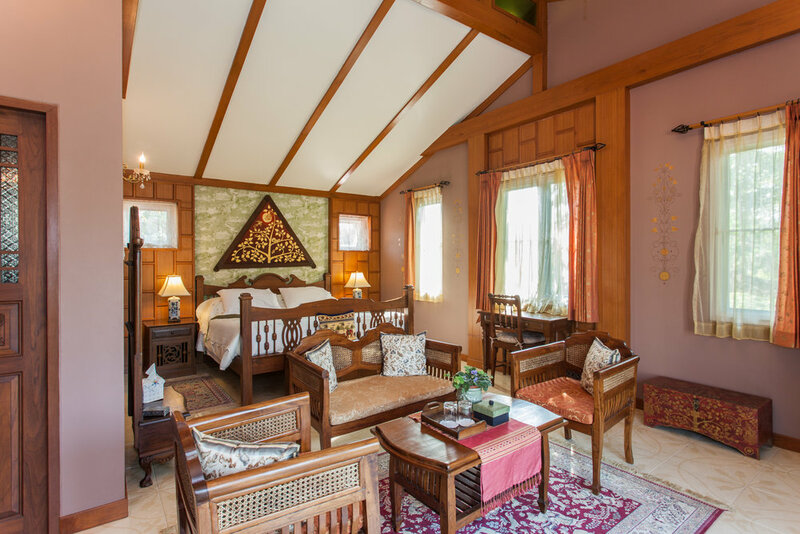 All bedrooms accommodate a maximum of two guests. Public holidays and weekends require a two night minimum stay. 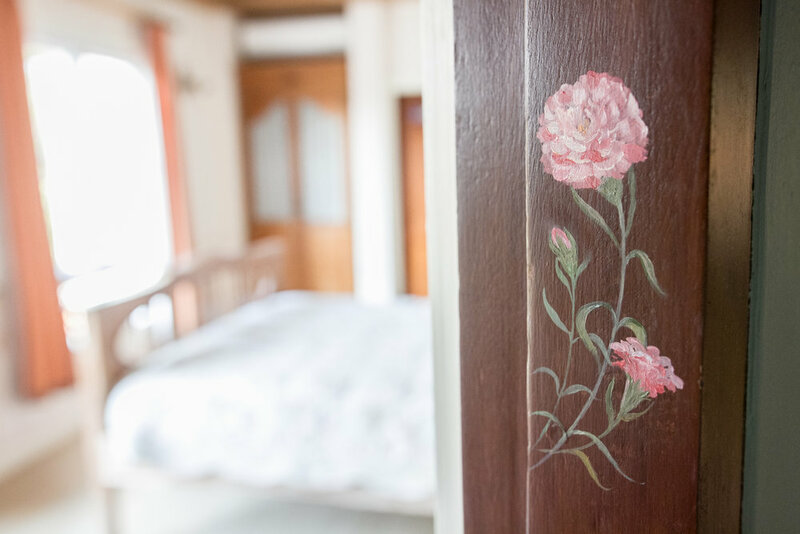 Inspired by the great Art Nouveau architect, furniture designer and painter Charles Rennie Mackintosh, our Rose Room includes two twin-size beds and is conveniently located on the ground floor looking out on the fountain courtyard. Mackintosh's blending of geometric design with graceful curves makes this bedroom remarkably contemporary in appearance even though his designs were created more than 100 years ago. 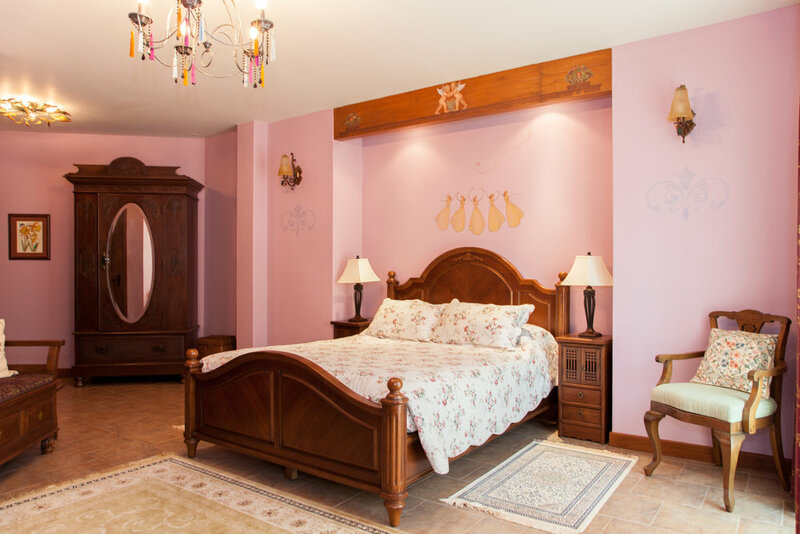 Entering this interestingly shaped ground floor bedroom evocative of the south of France, you will find yourself immersed in Provencal art and design featuring angelic wall paintings. The tower-like sitting area has a table for reading or drinking tea with a view outside of our wishing well courtyard. The wooden frame bed and queen-size bed is adorned with a quilted comforter sure to make your wish the weekend wasn't over yet. 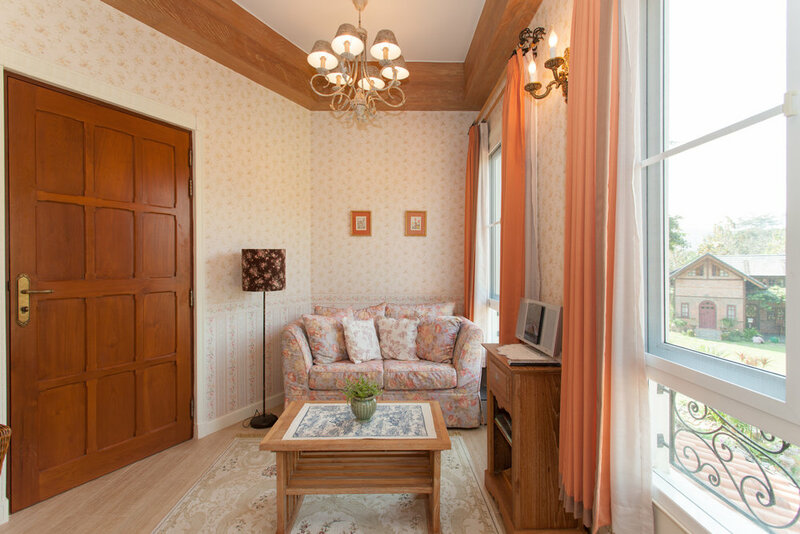 Bright and airy, this wood beamed ceiling and floral wallpapered first floor bedroom is decorated in a charming English country style. 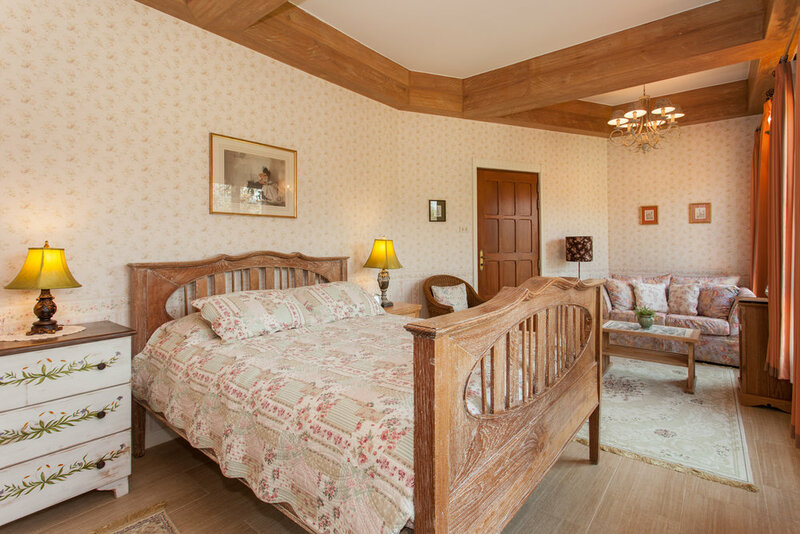 Featuring a queen-size antique wooden bed, built-in wardrobe and en-suite bathroom. With plenty of natural light flooding in, you'll be sure to enjoy a magnificent view of garden and hills beyond from the cozy loveseat. 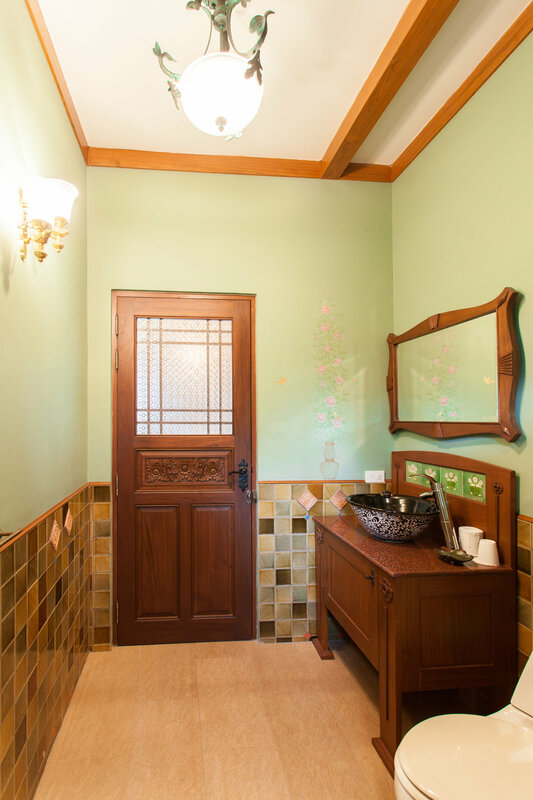 Indulge yourself in easy elegance of Chinese decorative style. The richly carved red king-size wood bed is set in the middle of a tasteful imperial purple room and adorned with beautiful Chinese art and furnishings including numerous antique pieces. This first floor bedroom overlooks our fountain courtyard and front garden. 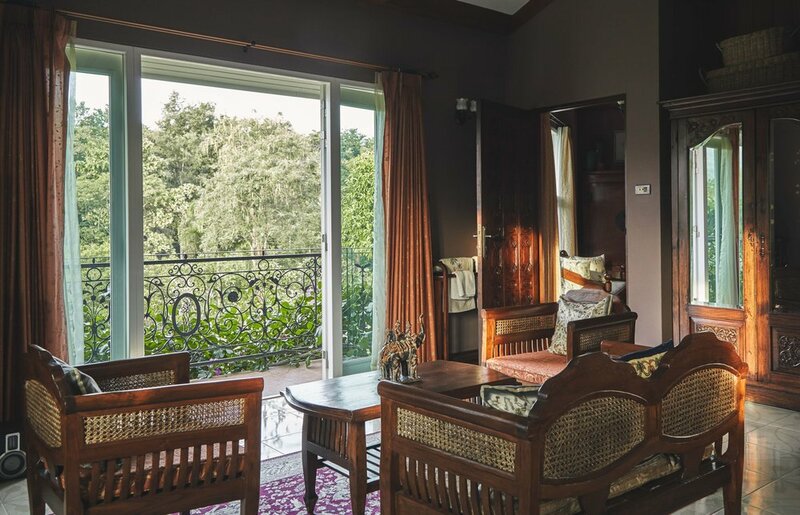 Located on the first floor, this richly decorated Thai style bedroom with king-size bed and sitting area offers an extraordinary garden view from the graceful wrought iron balcony. 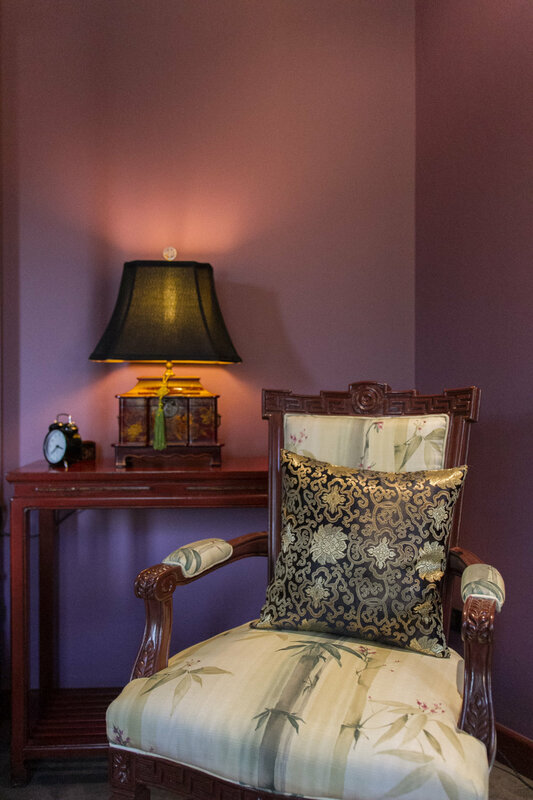 Relax in comfort amidst the beauty, harmony and timelessness of Thai decor. A Flat screen TV is provided for your entertainment as well as a writing desk for our guests who choose to bring a laptop.